On a very special episode of the Pop Rewind Podcast, Linz and Lee take listeners on a discussion about the current Back to the Future hype. Yes, after waiting 26 years it appears that The Future Is Now. 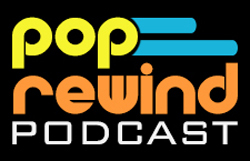 So, grab a Pepsi Perfect, rehydrate a pizza, and kick back to another refreshing episode of the Pop Rewind Podcast. So, what is it? #TeamPart1, #TeamPart2, or #TeamPart 3? Let’s hear the right answer!